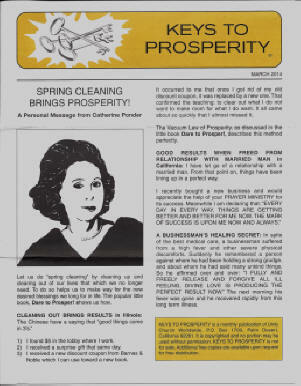 Please Click Here to subscribe to our free New Thought Newsletter! 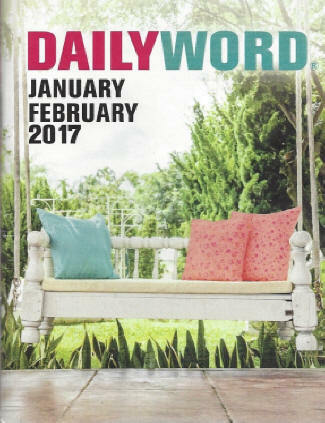 I love New Thought Teachings and begin every day reading the Daily Word from Unity and Science of Mind magazine from the Centers for Spiritual Living. 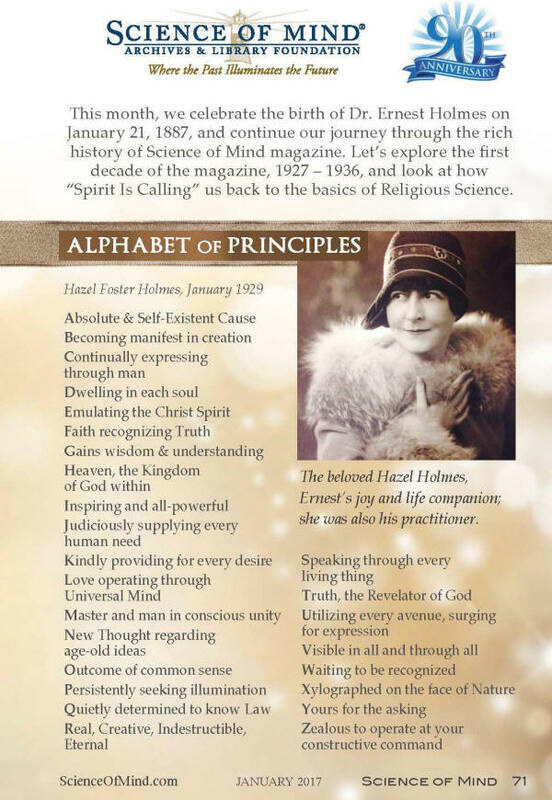 In the January 2017 edition the article Spirit Is Calling Us Back is a great overview of the basics and legacy of Religious Science. Please Click Here on the image below for a PDF of the article. New Thought, as defined in the dictionary, is a modern spiritual philosophy stressing the power of right thinking in a person's life, the idea that our thoughts and attitudes affect our experience and that God (or whatever other name a person might have for a Higher Power) is within the individual. New Thought is a logical and scientifically based understanding and method of changing our experience by changing our thinking. New Thought is simple and easy to learn. It has a tradition that reaches back over one hundred years and is founded on principles that embrace many of the world religious and spiritual practices spanning thousands of years. New Thought recognizes that human beings function on many levels: that the individual is a mental, spiritual, emotional and physical being. 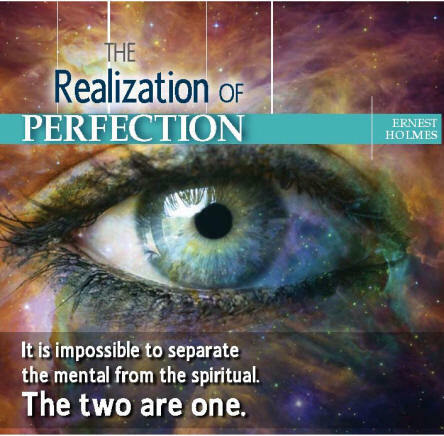 In realizing our fullness, our wholeness and maximizing our potential we are, in essence, finding fulfillment. 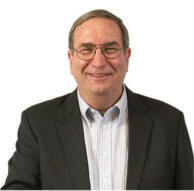 New Thought teaches people tools which put us on the path to fulfillment. The natural extension of this fulfillment is that as an individual's life is better, their family's life is better, their community's life is better and this extends out across the planet. 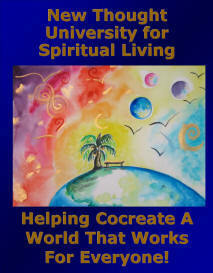 To help more people discover how to enjoy greater happiness, well-being, prosperity, peace and success in living a spiritually-centered life, the cosponsoring organizations decided to launch incorporate New Thought University as a not-for-profit membership organization. In addition to helping introduce the many wonderful organizations, programs and publications that are available, we will publish several books, e-books and offer seminars, workshops, webinars and live events. That will include providing digital and print editions of many of the classic New Thought books that are either out of print or in the public domain. 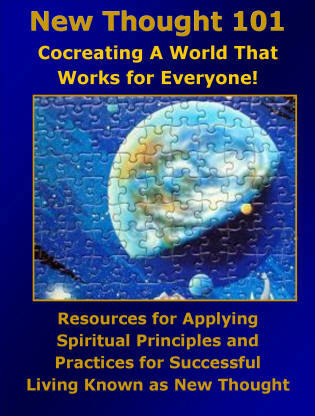 Our initial publications will include: New Thought University: 101 Resources for Helping People Discover How To Apply the Spiritual Principles and Practices for Successful Living Known As New Thought and New Thought StewardHeirShip: Helping Cocreate A World that Works for Everyone! 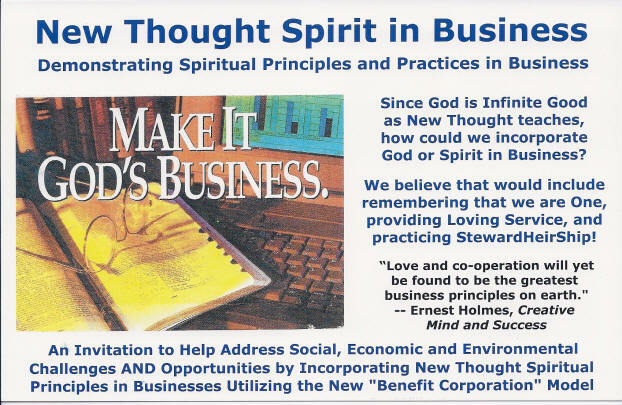 An invitation to Help Share Spiritual Principles and Practices for Successful Living Through New Thought University, New Thought Business Network and New Thought StewardHeirShip Benefit Corporation. We are seeking additional cocreative participation by anyone who wants to help evolve these New Thought programs, provide content, help coauthor, edit and help publish all of our pending titles, and help us discern the best ways to share them (and information about the many available New Thought publications and organizations) with the world. Catherine Ponder is one of the most generous New Thought Authors. 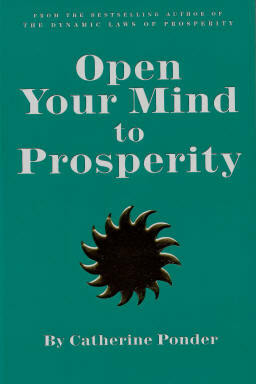 When we asked her to help us sponsor Celebrating New Thought Day in Sedona, she graciously sent us 100 copies of Open Your Mind to Prosperity. 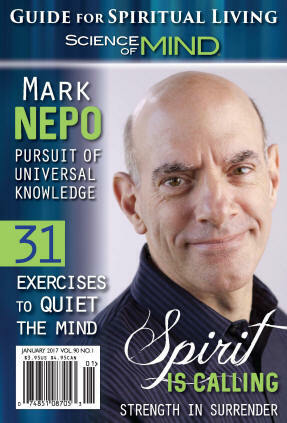 New Thought 101 Resources will feature as many of the available resources as we can identify that can help people learn how to apply the principles and practices for spiritually-based successful living known as New Thought. The book will also include the 24 specific proposals presented on this web site and components of an earlier presentation on 101 Ways To Transform Your Church Into A Community Resource Center that was shared at a Focus on Fundraising Conference for the Association of Unity Churches. 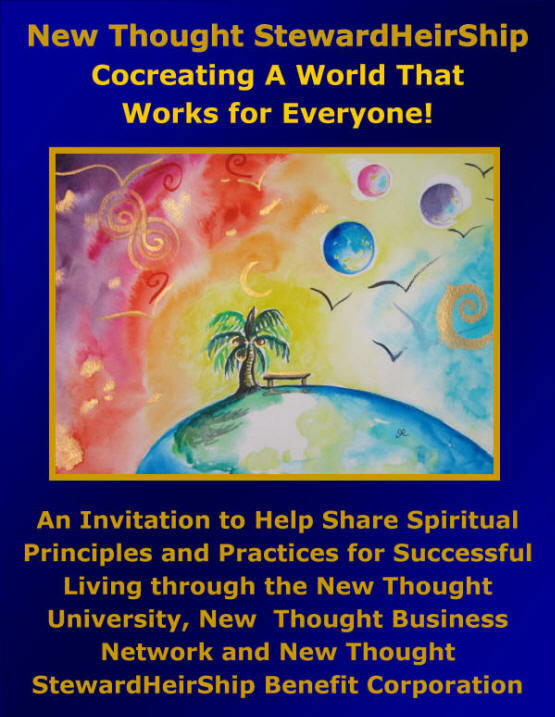 In addition, New Thought 101 Resources will include a listing of New Thought books, audio and video programs, seminars and workshops and other available resources for helping introduce people to New Thought. Click Here for more details on New Thought University including a Strategic Marketing Matrix™ for helping introduce New Thought to many more people. 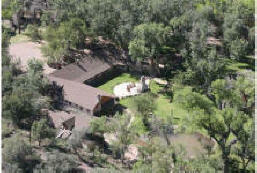 How would you like to help envision, design and cocreate a New Thought University, retreat center or intentional community near Sedona, Arizona? If you resonate with the vision, mission and proposals presented on this web site, we invite you to participate at whatever level feels most appropriate for you personally. 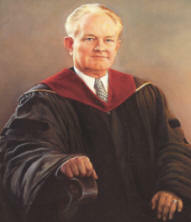 For example, you could volunteer to serve on various committees, become a member and help determine what level of programs and services would be provided . .
You are also invited to help develop the list of historic Faculty Members whose teachings will be prominently featured and suggest books, seminars, workshops, authors, trainers, teachers, facilitators etc. that could be added as recommended resources. 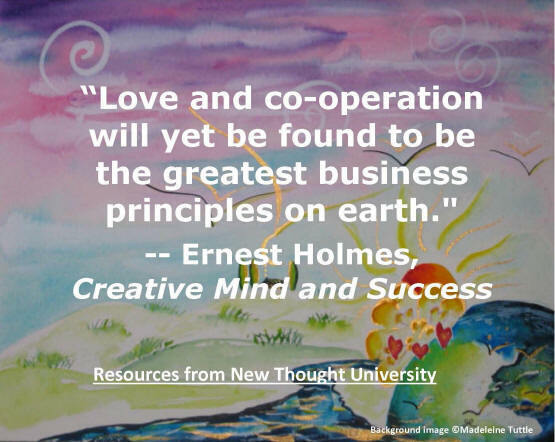 Please take time to explore the rest of this site so you will have a better comprehension of what is possible to include in the cocreative process of establishing a New Thought University and use the Survey to share your wisdom, insights and feedback. Thank you for visiting this web site. Please do share your feedback and suggestions. Please Click Here to complete our initial Interest Survey provided by Ultimate Destiny. 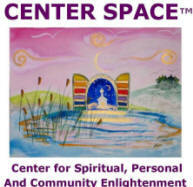 Charles Betterton, Cofounder of Universal Stewardheirship, Inc and four Sedona based non-profit organizations: CENTER SPACE (Center for Spiritual, Personal And Community Empowerment and Enlightenment); Ultimate Destiny University for Successful Living; the Sedona Light Center; and Ultimate Water for Humanity. PS. As many of our core team members have personally experienced and deeply appreciate the resources for hearth-mind coherence and well-being available from HeartMath®, we also include them as Featured Resources. How Would You Do on The Ultimate Entrance Exam? What does the word "godhood" mean to you? To me, it simply means seeking to Be Still and Listen, Seek Spirit first, Let Go and Let God, and Radiate Love, Peace, Joy and Harmony. That's why I like to spell the word God with the infinity symbol ∞ for the o because I believe G∞d is Infinite Good! 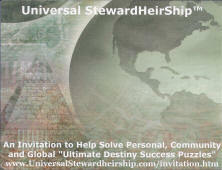 Know how to fulfill your Divine Destiny as a Cocreator and StewardHeir.